It has been nearly two centuries since the sofa tables are used across the world as an essential part of the living rooms. According to a rough estimation, the sofa tables were first seen in around 1800. These tables have always proved as an excellent addition to the living room. The sofa tables in the modern day are available in a number of designs and styles which include traditional as well as contemporary. The sofa tables are also sometimes placed in drawing rooms for a comfortable sitting. Since the sofa tables come in various styles and sizes, you must figure out what you want before you finally go purchasing one for you. Different people have different opinions about placing the sofa table. Some prefer placing it behind the sofa whereas others go for different options owing to their height and designs of their sofas. The sofa table is also sometimes used in entry or in a large room to divide it into two rooms. The sofa table is also used as sideboard table in order to replace the buffet in dining room. You need knowing about the exact required size of table for your living room to make sure that it does not look awkward and matches perfectly with the furniture. 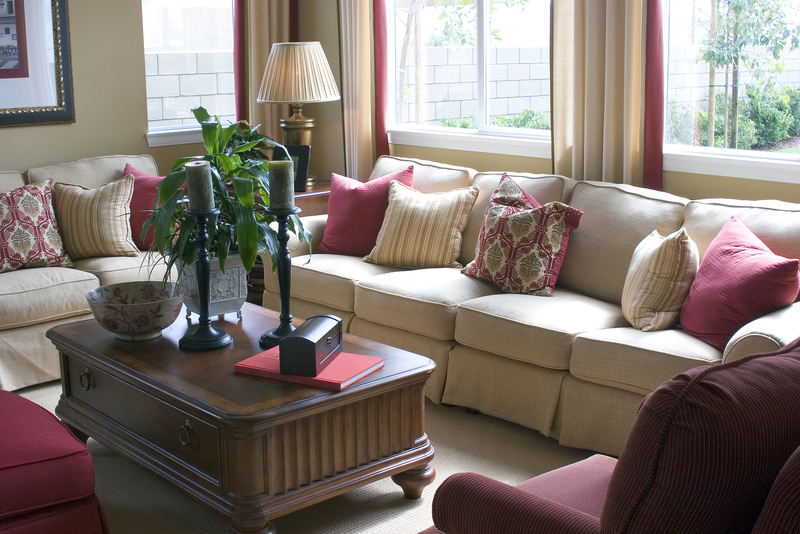 In case you plan placing the table behind the sofa, you should make sure that it is the same height as the back of sofa. In fact you need to make sure that the table does not extend past the sofa’s back length. The large size sofa tables are perfect for big houses and villas whereas the smaller ones are made to fit apartments. Modern Style: The modern table design comes from the 1930s and features clean contemporary lines and geometrical shapes. Traditional Style: The traditional style sofa tables come inspired from French styles of 18th and 19th centuries. They come in classic styles with symmetry and muted tones. Mid-Century Modern Style: This style of sofa table comes from 50s and 60s and features minimalist natural shapes. Country Style: The country style tables were used in various eras in the past and feature a rustic look with handmade feel. Art Deco Style: This style became extremely popular in the 20s and 30s and is still in trend in many parts of the world. The art deco style comprises wood furniture features, sleek lines, chrome hardware, glass tops and a lot more. AmerAdnan, who’s one of the leading interior decorators in Pakistan also recommends different table styles for different types of home interiors. You should have a look at all the above mentioned table styles and choose the ones that best suit your requirements.